Catalyst Prime is getting some new leadership this year. 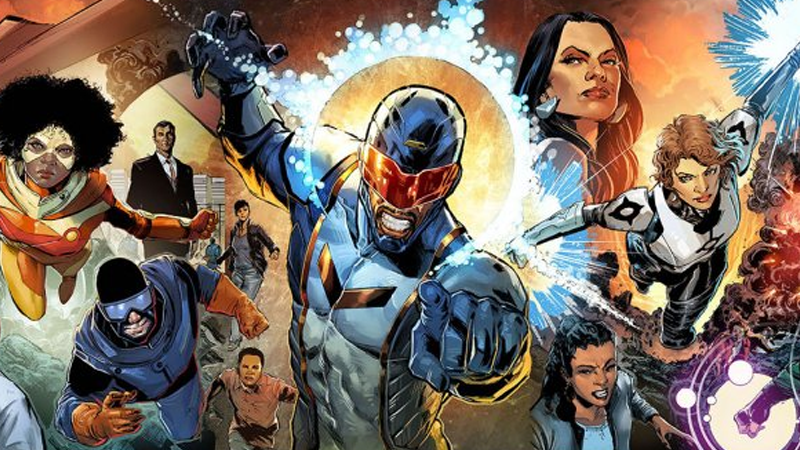 Last year, Lion Forge Comics launched Catalyst Prime, a new, diverse universe of comic book superheroes. Now it’s getting a roster shake-up, and the new person in charge of it all is none other than comics icon Gail Simone. Ahead of Simone’s appearance at a Lion Forge preview panel at San Diego Comic-Con this week, the company has officially announced through The Hollywood Reporter that Simone will serve as the creative lead and “chief architect” of the publisher’s Catalyst Prime line, shaping the future of its mission to create diverse new superheroes that reflect the ever growing and changing makeup of audiences that read superhero comics. While there’s no word on if Simone will be writing any of the Catalyst books as part of this new position, Lion Forge also announced a launch of a new comic coming to the line this fall: Quincredible, a story from writer/artist team Rodney Barnes and Selina Espiritu about a young teenager with invulnerability powers. While the series had been scheduled to launch next month, it will now debut in November under Simone’s new tenure. The newly released cover for Quincredible #1. It’s an interesting move for Simone, but the idea of an entire roster of comics guided by her vision is a great one. Catalyst Prime will likely have more reveals related to Simone’s new direction for the line at Lion Forge’s Fall Preview panel at San Diego Comic-Con, on Sunday, July 21.